I have a guest post on the Margaret Lockwood Society's blog today. It is a look back on Miss Lockwood's final feature film, The Slipper & The Rose from 1976. If you are a fan of Margaret Lockwood or musicals, you might want to check it out! Sarah Marshall, a British born actress who appeared on television, on stage, and in films, died 18 January 2014 at the age of 80. The cause was cancer. Sarah Marshall was born in London on 25 May 1933. She was the daughter of actors Herbert Marshall (who appeared in Foreign Correspondent and The Razor's Edge among other films) and Edna Best (who appeared in the original The Man Who Knew Too Much and The Ghost and Mrs. Muir among other films). She made her debut on Broadway in 1951 in a revival of Dream Girl. Throughout the Fifties she appeared on Broadway in the productions Idiot's Delight, Jane, a revival of Mr. Pickwick, a revival of Charley's Aunt, The Ponder Heart, A Visit to a Small Planet, and Goodbye, Charlie. She made her television debut in 1954 in a Hallmark Hall of Fame presentation of King Richard II. In the Fifties she guest starred on such shows as Kraft Theatre, Robert Montgomery Presents, Producer's Showcase, Studio One, Adventures of the Sea Hawk, The Aquanauts, Hong Kong, Peter Loves Mary, and The Tab Hunter Show. She made her film debut in The Long Hot Summer (1958). In the Sixties she made one last appearance on Broadway in Come Blow Your Horn. She guest starred on such shows as The United States Steel Hour, Thriller, Perry Mason, The Twilight Zone, Alfred Hitchcock Presents, Stoney Burke, 77 Sunset Strip, The Rogues, 12 O' Clock High, The Fugitive, F Troop, My Favourite Martian, Get Smart, I Spy, The Wild Wild West, Star Trek, and Daniel Boone. She appeared in the films Wild and Wonderful (1964), A Rage to Live (1965) and Lord Love a Duck (1966). 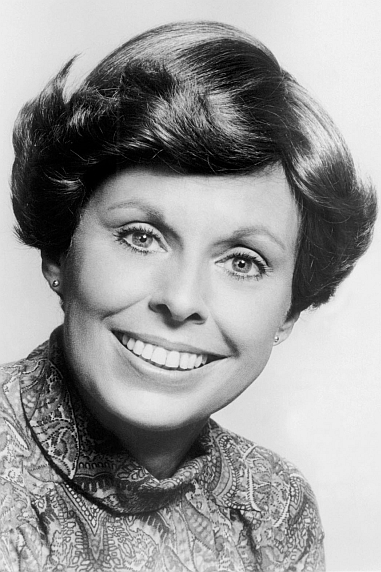 In the Seventies she played the regular role of Evelyn Winslow on the short lived sitcom Miss Winslow and Son. She guest starred on such shows as Play for Today, Medical Centre, and Great Mysteries. She appeared in the mini-series Scruples. She appeared in the film Embassy (1972). In London she appeared on stage in productions of Children, Applause, and The Gingerbread Lady. From the Eighties into the teens she guest starred on such shows as Three's Company, The Jeffersons, Hart to Hart, Remington Steele, and Cheers. She appeared in the films Bristlelip (1982), Dave (1993), Dangerous Minds (1995), Bad Blood (2006), and Bad Blood... the Hunger (2012). If Sarah Marshall appeared so frequently as a guest star on American television shows, it is perhaps because she was an actress with a great deal of range. In the Twilight Zone episode "Little Girl Lost" she played a mother of a little girl who has mysteriously disappeared into the wall of her bedroom. In the Perry Mason episode "The Case of the Roving River" she played the title lawyer's client, who is embroiled in a land dispute. In the Star Trek episode she played Dr. Janet Wallace, a brilliant biologist and an old flame of Captain Kirk. She was an actress capable of playing a variety of roles and playing all of them well. It should then be little wonder that she was as prolific as she was. Actress and animal welfare advocate Alexandra Bastedo died on 12 January 2014 at the age of 67. The cause was cancer. She was perhaps best known for her role as Sharron Macready on The Champions. She was the founder of the Alexandra Bastedo Champions (ABC) Animal Sanctuary as well. Alexandra Bastedo was born on 9 March 1946 in Hove, East Sussex. She grew up in Brighton, East Sussex. As a child she wanted to be a veterinarian and helped at the local veterinary surgery. When she was 16 William Castle was holding a contest to cast girls as the daughters of diplomats in his film 13 Frightened Girls. Alexandra Bastedo was one of the girls selected and made her film debut as "Alex" (the daughter of the diplomat from England) in the film, which was released in 1963. In the Sixties Miss Bastedo made guest appearances on several television shows. She made her debut on television in the show The Flying Swan (which starred Margaret Lockwood and her daughter Julia) in 1965. During the decade she went onto guest star on such shows as R3, The Man Who Never Was, The Scales of Justice, The Saint, Department S, Randall and Hopkirk (Deceased), and From a Bird's Eye View. From 1968 to 1969 she appeared as Sharron Macready in The Champions. While only one series of the show was made, it would prove quite successful outside the United Kingdom and United States, and has since developed a large cult following in both the UK and the U.S. She was also a regular on the short lived series Codename. In the Sixties Alexandra Bastedo also appeared in such films as The Liquidator (1965), Doctor in Clover (1966), That Riviera Touch (1966), Casino Royale (1967), I Can't... I Can't (1969), Tibetana (1970), and A Promise of Bed (1970). In the Seventies she was a regular on the television series The Aphrodite Inheritance. She guest starred on such shows as Jason King, The Adventurer, Suspicion, Men of Affairs, and Witness to Yesterday. She appeared in such films as La novia ensangrentada (1972), Odio mi cuerpo (1974), The Ghoul (1975), Tu dios y mi infierno (1976), Find the Lady (1976), and Estigma (1980). In the Eighties Alexandra Bastedo semi-retired from acting. From the Eighties to the Naughts she guest starred on the shows The Agatha Christie Hour, Boon, Absolutely Fabulous, and EastEnders. She appeared in the American TV film Draw. She also appeared in the films A Choice of Two (1981) and Batman Begins (2005). Following her acting career Miss Bastedo returned to animal welfare. She was president of her local branch of the RSPCA for a time before founding the ABC Animal Sanctuary in West Chiltington, West Sussex. By the year 2000 the ABC Animal Sanctuary housed over 180 abandoned animals of various species. The first thing anyone would notice about Alexandra Bastedo is that she was incredibly beautiful. What they might not realise at first notice is that she was actually a very talented actress. She gave consistently good performances as Sharron Macready on The Champions. She also did a fine job of playing Mireille, a countess who may not be everything she seems in the episode of The Saint "The Counterfeit Countess". Over the years she played a vampire (La novia ensangrenta), an Italian in the midst of family feud (in the From a Bird's Eye View episode "The Sicilian Affair"), and Lucrezia Borgia (in an episode of Witness to Yesterday). She proved she had a gift for comedy in her guest appearance in the Absolutely Fabulous episode "Fat", playing Eddy's still slender and youthful rival Penny Capar-Morse. Of course, Alexandra Bastedo was more than an actress. Through the ABC Animal Sanctuary and other activities over the years she saved hundreds of abandoned animals. She was also active in several other animal rights organisations. The first thing anyone might have noticed about Alexandra Bastedo may have been her beauty, but she was so much more than that. To many Facebook may seem nearly unstoppable. For nearly the past six years it has been the top social media site in the world. While truly accurate figures are not available, Facebook claims an estimated 1.26 billion users. In any given month 30 billion posts (status updates, photos, links, videos, et. al.) are made. While all of this sounds impressive, it is worth noting that at one time another social network also seemed nearly unstoppable. 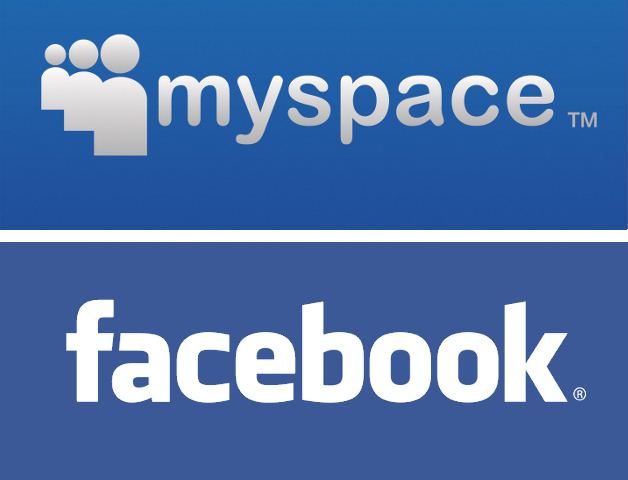 Founded in 2004, by 2005 Myspace was the top social media site in the world. It would retain that position until it was overtaken by Facebook in April 2008. Since then Myspace has steadily declined. In fact, it not only has fewer users than Facebook, but it also has fewer users than Google+, Twitter, and even LinkedIn. The question is whether what happened to Myspace can also happen to Facebook. Today there are those who behave as if Myspace's decline happened all at once. In fact, its decline actually took place over several years. It must also be pointed out that it was not a simple case of people preferring Facebook over Myspace. Over the course of a number of years Myspace made a number of missteps that would lead to its decline. In fact, had it not been for these missteps, it seems fully possible that Facebook may have never overtaken Myspace. One of the first missteps Myspace made was redesigning the site. Starting in 2007 Myspace began making frequent changes to its home page, Myspace Music, and even its profiles. Many of these changes were unpopular with users and many complained that Myspace's pages were simply too cluttered. One noticeable effect of all these changes on the part of many users was that Myspace loaded very slowly when compared to other web sites. With unpopular changes to the site's layout and slow load times it should be little wonder users would desert Myspace for the cleaner, faster loading Facebook. Complicating all of this was a $900 million, three year deal for advertising that Myspace signed with Google. Arguably it was not the deal itself that killed Myspace as much as the way the social network handled the ads. Over time Myspace added more and more ads, often in awkward places on the screen. The end result was that an already cluttered and slow loading layout was even more cluttered and even slower to load simply from the ads on the pages. Again, it is little wonder why users would desert Myspace for Facebook. Of course, even after Facebook overtook it as the top social network, Myspace would remain a powerhouse among social media sites. It was still visited by millions of users each day. Unfortunately, its days were numbered. Hampered by an unwieldy layout with several large ads on each page, Myspace declined until what was one the most powerful social network in the world was an also-ran in the social media world. While it may seem inconceivable at the moment that Facebook will go the same route as Myspace, it is notable that Facebook has already made some of the same mistakes that Myspace did. Indeed, if anything else, Facebook is more notorious than Myspace ever was for making unpopular changes to the site. Between 2008 and 2011 Facebook made several changes to user profiles alone. To give one an idea of how often such changes could occur, consider the fact that Facebook introduced a new user profile in January 2011 only to introduce the original, double column Timeline in September 2011. As it turned out many, perhaps most, users despised the double column Timeline to the point that Facebook was forced to introduce the new single column version in early 2013. While Facebook has introduced sometimes unpopular changes to user profiles, it has from time to time tried changing the news feed, this despite the fact that changes to the news feed seem to be what upsets users the most. In 2011 Facebook revamped the news feed so that it did not display posts in the traditional, reverse chronological order, but only in order of "Top Stories" as determined by Facebook's algorithm. Outrage on the part of users was so swift and immediate that Facebook was forced to change the news feed back. About the same time Facebook introduced the ticker, a stream of friends' posts in real time. The ticker proved about as popular as the changes to the news feed so that Facebook was forced to give users a way to shut it off. One mistake Facebook has made that Myspace never did is the algorithm it uses to prioritise users' posts (at one time called EdgeRank). Despite Facebook's insistence on using the algorithm, it seems that most users do not particularly want posts from their friends or from pages they follow filtered. Facebook has often claimed that it filters posts so as to reduce noise and give users a richer experience of the site. Given that many users do not want their content filtered at all, it should not be surprising that Facebook has been accused of using the algorithm to force pages to pay to promote their posts. Whether this accusation is true or not, many users dislike the fact that Facebook filters posts and have said so, to the point that the algorithm could be a deal breaker for many users if it begins filtering too many posts. The one mistake Myspace made that Facebook has not yet repeated is the placement of ads. Ads have increased on Facebook over the years, but they are still small in size, generally number about four at most, and are all situated in the right sidebar. While one hears the occasional complaint about Facebook ads, it does not seem to be a concern of most users. That having been said, it soon could be. In December 2013 Facebook started rolling out video ads in news feeds to some users. Now the video ads are only 15 seconds in length and their audio is muted, but it seems likely that they will annoy users nonetheless. Of course, if Facebook goes ahead with its plans for video ads one has to wonder how long it will be before the video ads are longer than 15 seconds and the audio is not muted. In that case, it seems likely Facebook will have hammered the last nail in its coffin. At the moment is seems to me that Facebook could survive and event thrive. Even if it is overtaken by another social network (and I think Google+ could do so at some point), I think it could remain a powerhouse in the world of social media. My reasoning is that it seems as if Facebook has largely learned its lesson. It has made no more changes to user profiles since early last year and it has made no major changes to the news feed beyond tweaking its algorithm. Provided Facebook makes no changes to profiles and news feeds, and does not add more ads to the site, it seems quite likely it could continue as it always has. It could perhaps further guarantee its survival by doing away with the algorithm or, at least, giving users more control over the filters (a "volume control" as we call it on Google+). Unfortunately, given Facebook's history, it seems that at some point it could once more start making unpopular changes to the site. Facebook is currently testing a new layout for the news feed. If they go forward with it and it proves unpopular, and if they follow it up with unpopular changes to user profiles, Facebook could indeed go the way of Myspace. Indeed, this would especially be the case if they decided to add more ads to the site and to add video ads in particular. Of course, if Facebook does make these mistakes and does start going into decline, like Myspace it will not happen overnight. In fact, Facebook's decline would seem likely to take longer than Myspace, given it has far more users than Myspace did at its peak. Regardless, it seems possible that by 2022 or so we could be talking about Facebook the way we now talk about Myspace. Right now Facebok really needs to be careful of what it does and keep a careful eye on any errors that Myspace also made.